Image: © Gazette series: Murray Dowding: Yate and District Heritage Centre. Children will learn what life was like at home for the children of the First World War through two contemporary photographs. 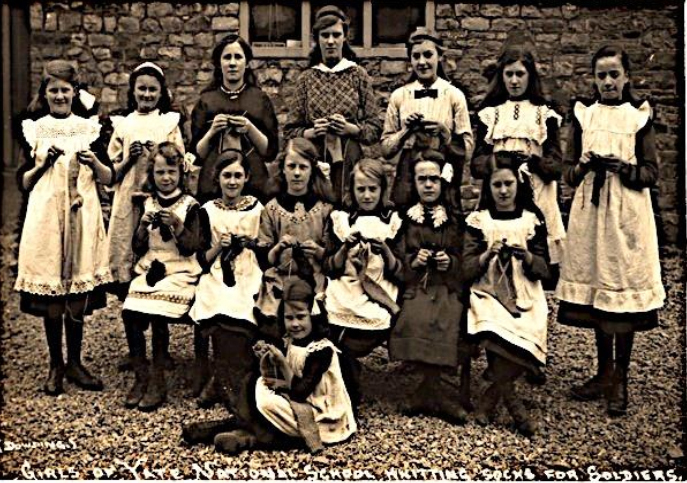 The two photographs; the girls knitting and the Wolf Cubs.